Stein spaces are complex spaces for which Theorem B is valid. Theorem A is a consequence of Theorem B and thus is automatically true for such spaces. 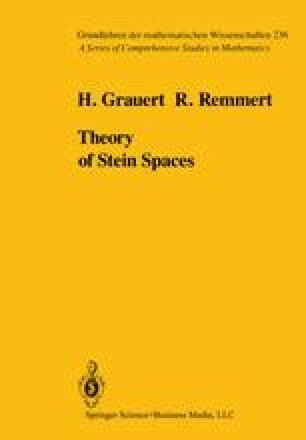 A complex space is Stein if it possesses a Stein exhaustion. Particular Stein exhaust-ions are the exhaustions by blocks. Every weakly holomorphically convex space in which every compact analytic subset is finite can be exhausted by blocks and consequently is a Stein space.